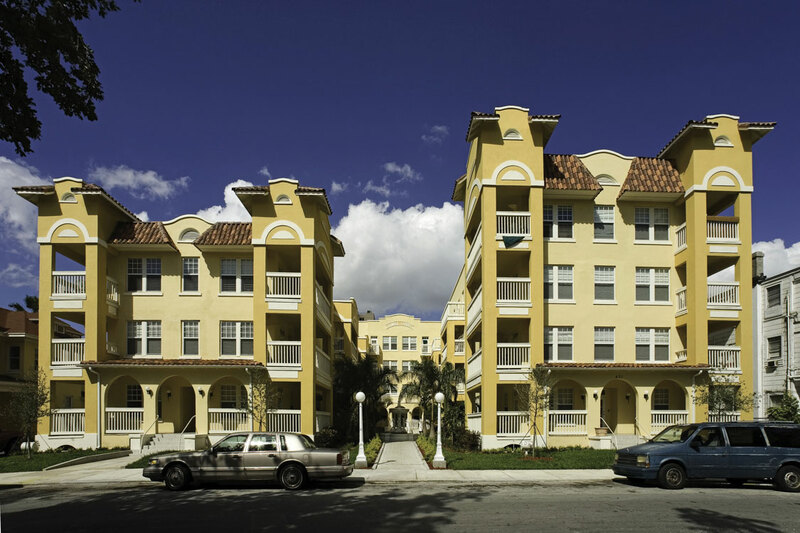 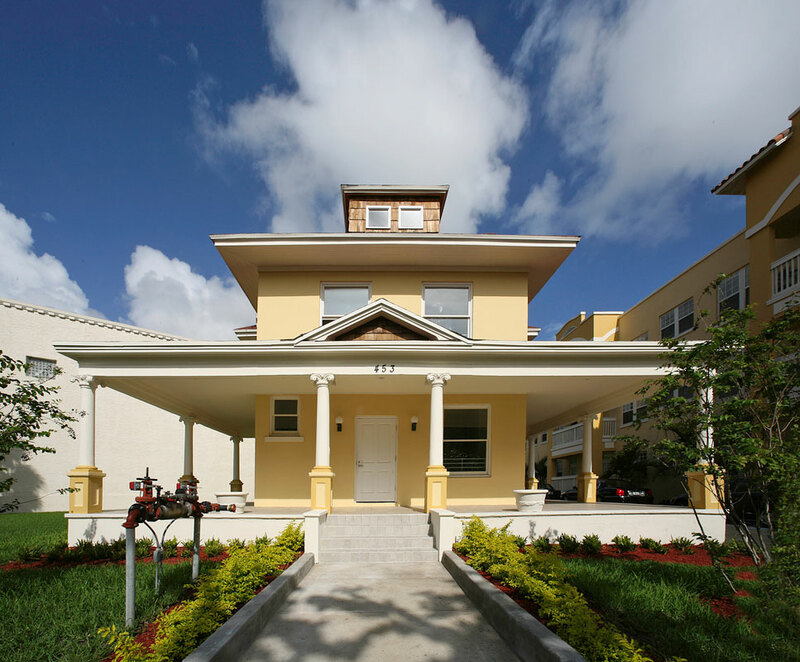 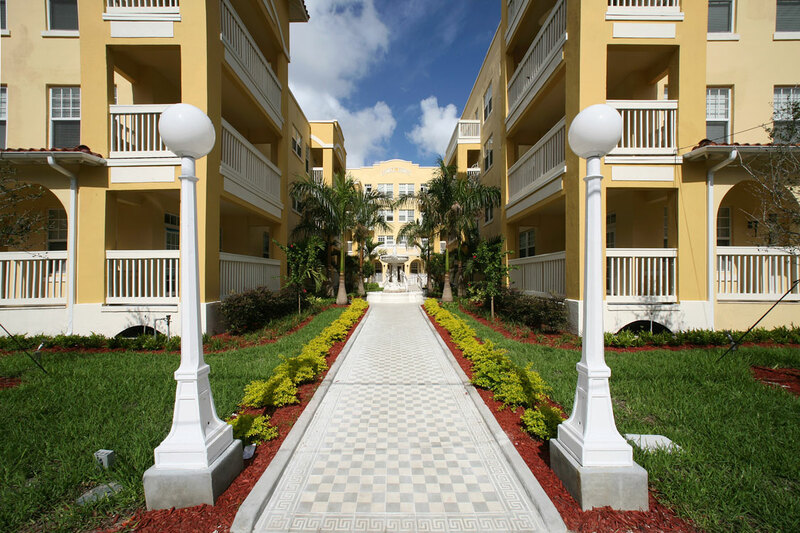 The Temple Court Apartments were built in two phases between 1914 and 1918 in the Masonry Vernacular style of architecture and are designated as Contributing Structures within the City of Miami’s Lummus Park Historic District. 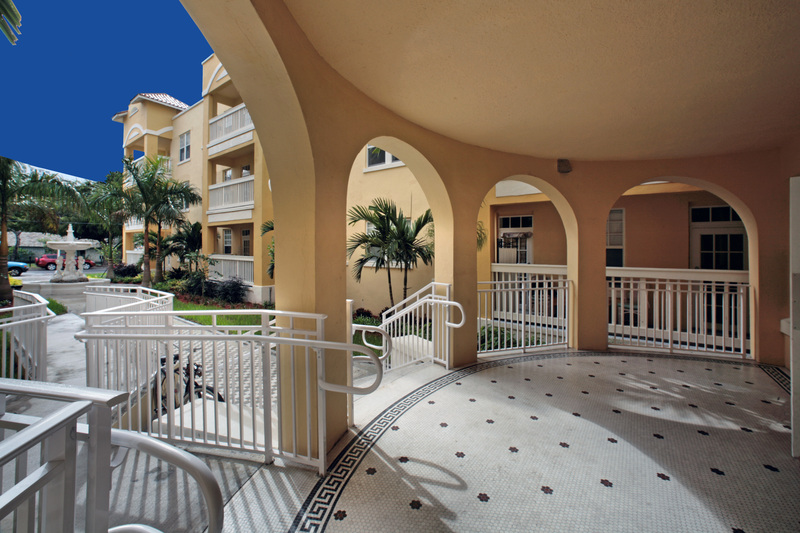 The present configuration of the building is a “U” shape plan with a four-story elevation on the east wing and a three-story elevation on the west wing, which is the older portion of the building. 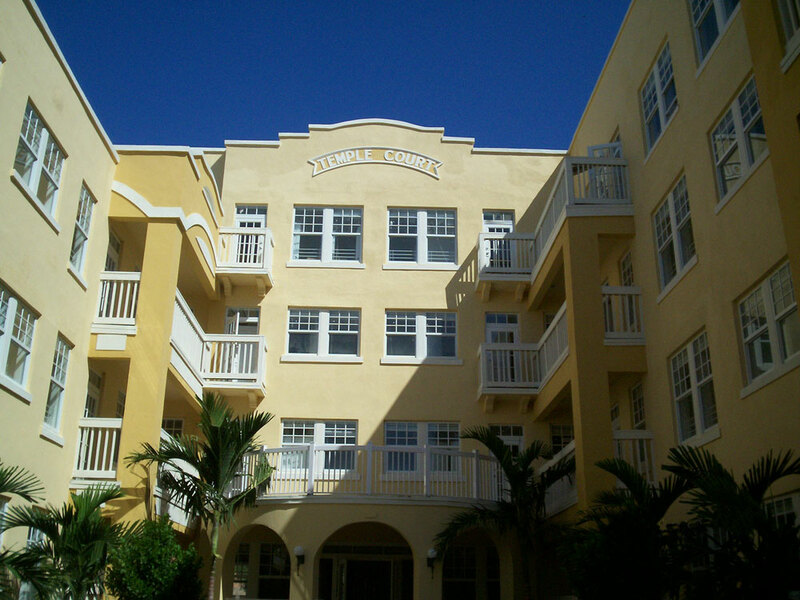 Known today as the Temple Court annex, a smaller two-and-one-half-story masonry residential building sits adjacent to the apartment building. 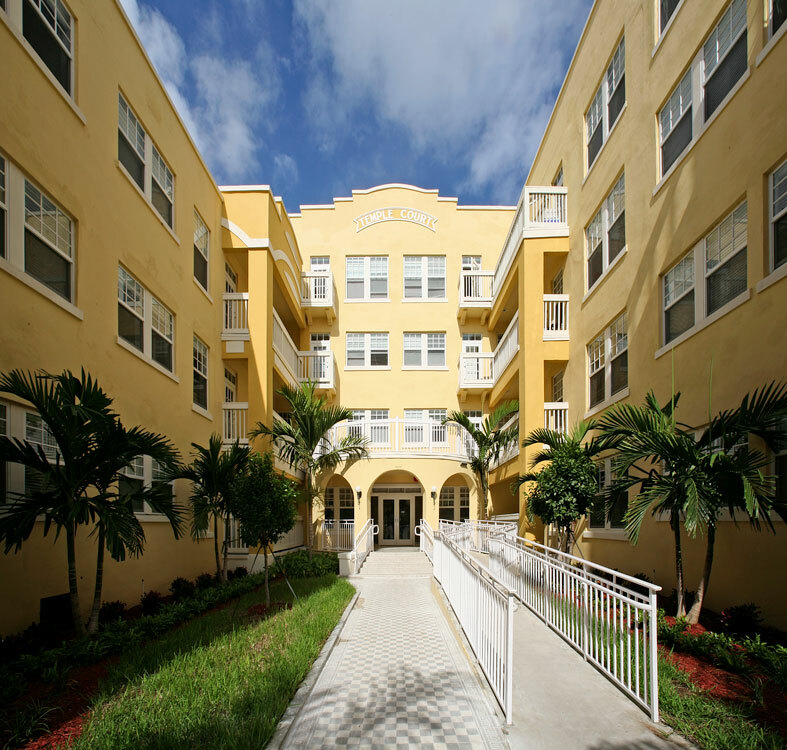 Following many years of deterioration and significant alterations, RJHA was commissioned to complete a substantial rehabilitation of the complex that replicated the original exterior appearance and most of the original interior layout of the units for use as elderly housing including new impact-resistant windows and new mechanical, electrical, plumbing and life safety systems, while retaining.